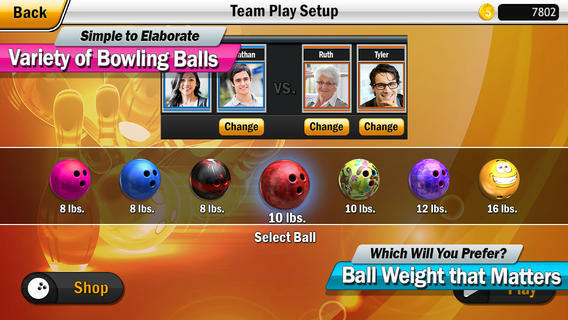 Bowl with Me is a multiplayer-focused bowling game for iPhone from developer Megu Mobile Gaming. After you fire up Bowl with Me you can sign in via Facebook, earning you 1000 coins or jump into the game as a Guest and receive 500. From the main menu, you can see all of the game modes in Bowl with Me – Practice, Head-to-Head, Team Play, High Scores, Career Stats and the Bowling Shop. I started out trying the Practice round, where you can test out the game mechanics with a standard 8lb bowling ball. Everything is pretty intuitive – you can move the ball left or right and even add some ‘spin’ before slinging it down the alley. The physics and motion of the ball and pins are very realistic and the visuals are top-notch. 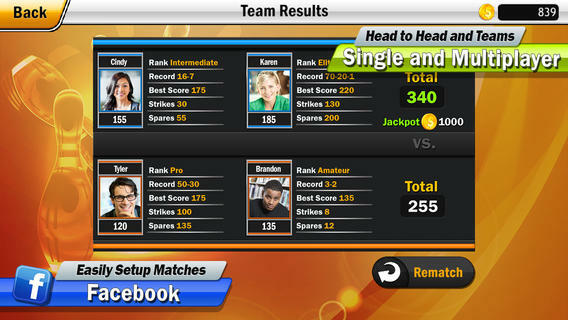 Bowl with Me features both 1v1 head-to-head play as well as team matches. When you start a multiplayer game you have to make a wager: 50 coins up to 500 coins. If you win, you double your coins. 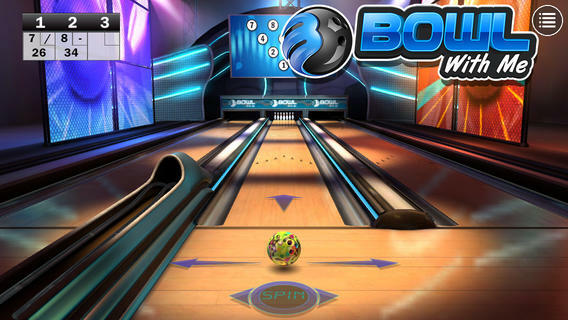 The game features a Bowling Shop where you can purchase a large range of custom bowling balls in different weights and designs. All purchases require coins that are earned through playing games. Bowl with Me requires an active internet connection to play, so if you’re on the subway or out of range of Wi-Fi/3G/4G then you’re out of luck. Overall, an extremely solid iPhone bowling simulator. Polished visuals and realistic physics combine with engaging multiplayer to make for a great on-the-go bowling experience. Bowl with Me is a free download on the App Store. Requires iOS 6.0 or later. Compatible with iPhone, iPad, and iPod touch. This app is optimized for iPhone 5. Follow Tapscape for reviews of all the best iPhone sports games.